Chieko Higashiyama and Setsuko Hara, in one of the Ozu film's most poignant scenes. "The paper said it's better than Citizen Kane." "But I didn't like Citizen Kane." There is some sort of Kane-hating epidemic happening in this town, and the Siren intends to write the Toronto City Council and advise them to nip that in the bud, but quick. I am confining myself to the briefest of remarks, for fear of killing Tokyo Story with kindness as some apparently have managed to kill the Welles film. For the record, the two movies have little in common except greatness. The Ozu film has the stately pace of a long novel, giving you the same inside-out understanding of its characters that you get from a great book. Its power lies in the slow accretion of detail, until something as simple as a child picking flowers or an old couple taking a bus tour has more impact than many a battle scene. The closing images will haunt the Siren for a long time. I attended a long Ozu series here in Chicago last year. Seeing one film after another was quite an experience, with actors growing older, plots and themes repeating over the years with minor variations. I thought of Ford, and his "stock company". They don't like Kane in Toronto? Perhaps it isn't hip to like Welles today, but I find it hard to believe. Over in A Girl And A Gun they're saying that Hawks is out of fashion. All I can say is: I pity the hip. This was my first Ozu film so now I must have more and more. I want to see Late Spring and Early Summer now, too. Setsuko Hara is so wonderful. I remember defending John Wayne and Sinatra when I was young. They were decidedly NOT hip then--especially Wayne for his politics. Though I despised Wayne the rabid reactionary, I would patiently try to explain the difference between the man and the work. This will likely strike you as insane, but I used to drive up a couple of times a month to Toronto (a two-hour trip) for one reason alone: Cinematheque Ontario. I caught a few hundred films there over a three-year period. I'd stay at this French-themed B&B off Bathurst called "The French Connection", spend the days poking around in art galleries or music shops or bookstores and the evenings doing a double feature. After 9/11, the border security got tighter and the trips got more onerous and I gave it up. But it introduced me to a whole universe of international cinema for which I'll always be grateful. I saw this film a long time ago, and I loved it. Many scenes are just haunting, and I would not mind revisiting it again. Thank you for reminding me of this amazing work. V., my better half and I are supposed to see another movie Friday, but he balked a bit. "Is it going to be as depressing as the one from Thursday?" "I don't know. Probably. The movie depressed you Thursday?" G. - it doesn't strike me as insane at all. My Bad Toronto Attitude is about homesickness for New York and not much more. I have a good friend who visits us often. He had a job in Toronto years ago, made some friends and comes back regularly. He may be here for the festival. Pardon my deletion...I sounded too pretentious. LOL, I didn't think you sounded pretentious at all! Just righteously annoyed. What I really want to know is: how did you delete that comment? another thing I haven't learned to do on Blogger. I used to be quite good with computers but seem to have lost the knack. C: To delete a message, click on the trash can. There should be a trash can next to every message on a blog that you operate, enabling you to delete anyone's message. When you're on someone else's Blogger blog, you can delete any message that you've left. Aah, Setsuko Hara. She makes Meryl Streep look like a self-serving harpy. By the way, a link on my site is on its way when my significant other gets around to it. Based on the Siren's past writings, I'm seeing Maureen O' Hara tomorrow. Speaking of Kane, I broke up with a girl who tried to end my argument with some guy when we saw the film on tv, when she said, "It's only a movie". Flickhead: Right now, you are thinking, "How dumb can a Siren be?" but in my defense, I didn't have the trashcans. I had to clear out my cache to see them. Many thanks. Peter: Thanks! LOL at the Hara comment. So true. But in a sense, isn't it just the contrast with the others in TS that makes her seem so saintly? Her actions are simple and don't entail a great deal of self-sacrifice, just loving interest in a nice old couple. Apparently, Surly and I were attending the same series because I went to as many of the Ozu screenings here in Chicago as I could too (and I assume Toronto is doing part of the same programme). A recent post on my own blog highlighted Shin Saburi, another one of Ozu's frequent actors. He does not appear in Tokyo Story, but he does star in Brothers and Sisters of the Toda Family as well as The Flavor of Green Tea over Rice (which is my secret Ozu favorite). I do think Tokyo Story is better than Citizen Kane, and I personally like many of Welles' other movies (including The Magnificent Ambersons, The Trial, F for Fake and even Mr. Arkadin) more than Citizen Kane. I saw that post. I look for your Great Actor posts every week now. The more films I see, the more I need to see. I really want to see more Ozu. The Toronto series is a tribute to Susan Sontag, who had a huge interest in Japanese cinema. Lots of different directors. So the other two I will be seeing (I'm limited by babysitter requirements) are "When a Woman Ascends the Stairs" and "The Sisters of Gion." No more Ozu. I will have to rent or cue up the credit card for the ones Criterion has. As for Citizen Kane; Ambersons is very dear to my heart but its mutilation and that tacked-on ending are almost as tragic to me as the plot itself. 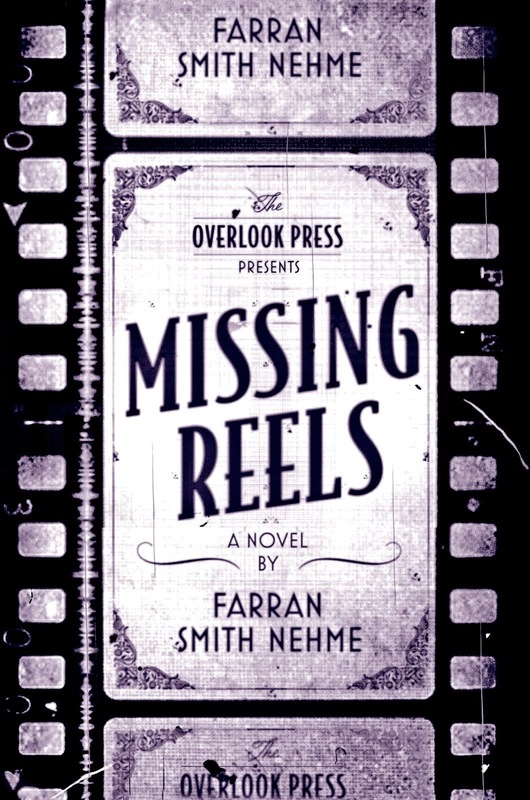 Someone wrote a book recently about a guy who finds the lost footage. Every cinephile's fantasy, I guess. There is no way I would rate The Trial above Kane; but controversy is the meat and drink of blogging! I have been an Ozu fan for years and I think most of his films are simply brilliant. Do try and see as many as you can. It really makes you understand Japanese family life. N. dear, so nice to see you here! 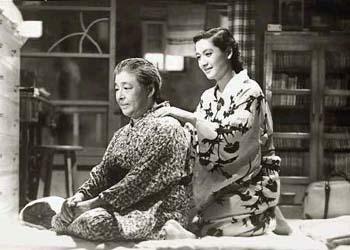 The reputation of Tokyo Story is so towering that I waited years to see it on the big screen first. I don't think I will do that with the rest of this director's work. Alex: I'm sure we sat next to each other at the Ozu series--I was there every week, and only missed a few of the films. I also like Green Tea--great kitchen scene. During the series I finally caught up with I Was Born, But...well worth waiting to see on the big screen. The silent Ozu's are quite varied in style, and you can see the influence of Sternberg and the West. Campaspe: While I'm sure you'd agree that all films deserve the good print on the big screen treatment, Ozu perhaps loses less on the small screen than someone like Mizoguchi (someone like Mizoguchi?!? Just whom would that be?). Hee hee. Oh, I don't know about all films deserving the big screen ... Red Dawn, for example, above, works just fine on a 12-inch color Sony manufactured circa 1985. I still need to find a good rental place in Toronto. Okay, how about they all deserve the good print on the big screen, but some deserve it in an empty theatre? Oh, that is tough. P and I watched "Dev" last week, a very emotional film about the plight of religious minorities in India, and he could not sleep thinking about it. Now, how can I get him to watch "Bombay," which is another excellent and well-done film? It is very difficult to watch, even more difficult than "Dev." ooh, me too! I went to that Ozu retrospective at the Siskel Film Center in Chicago too! I think it was Equinox Flower that made a big impression on me (I can never keep the titles of Ozu's films straight). It definitely deserved as big screen. The color was magnificent, as well as the achingly perfect composition of each shot. A beautiful film. Setsuko Hara was not in that one IIRC, but I love her. I totally agree with Peter on Hara. Citizen Kane was Ozu's favorite foreign film.